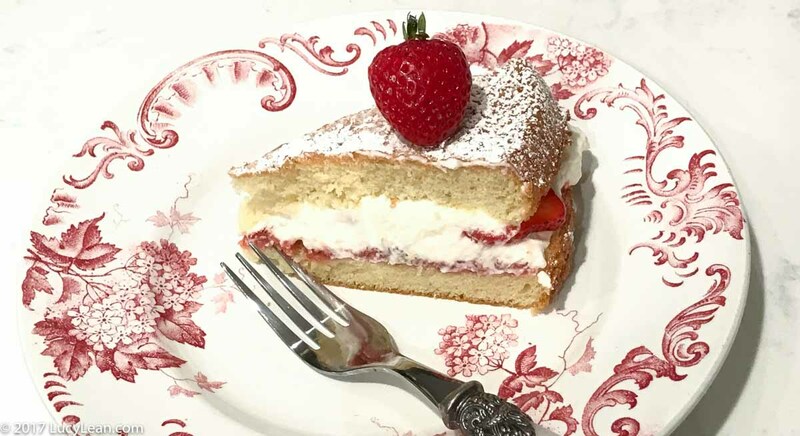 It doesn’t get more British than a Victoria Sponge Cake – and then you add strawberries and cream – and then you throw in Yotam Ottolenghi and Helen Goh’s new book SWEET – all you need is a nice cup of tea and an afternoon of Summer showers watching cricket on the village green. Or given that tomorrow is Guy Fawkes perhaps a fireworks display, apple bobbing and a sparkler or two. 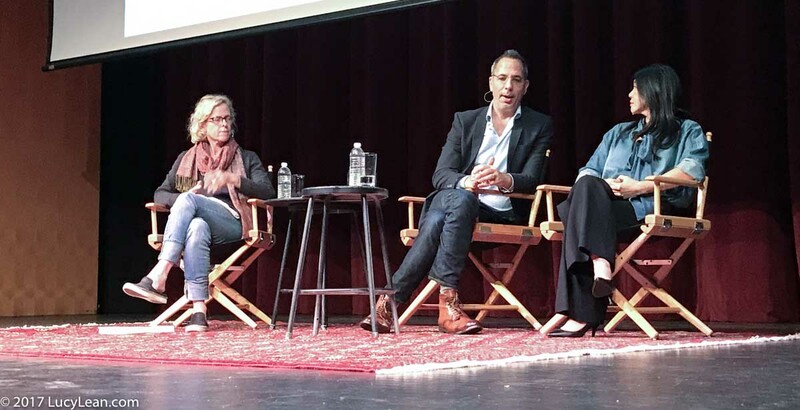 With the launch of SWEET in early October, Yotam and Helen came to Los Angeles for a flying visit during their promotional tour. It was good to get a hug and a catch up between Yotam signing books and having his photo taken like the rockstar that he is. I first met Yotam when he came to LA to promote Plenty and I arranged for him to turn Animal vegetarian for a night – we have since been great friends and I adore him – for his cookbooks, his humility and his genius. I also love the fact that he persuaded Didier to hire more people. He told the story of how he couldn’t delegate – even the washing up and how it was holding him back being such a control freak. During the interview portion of the evening with Amy Scattergood the anti sugar zeitgeist was discussed. 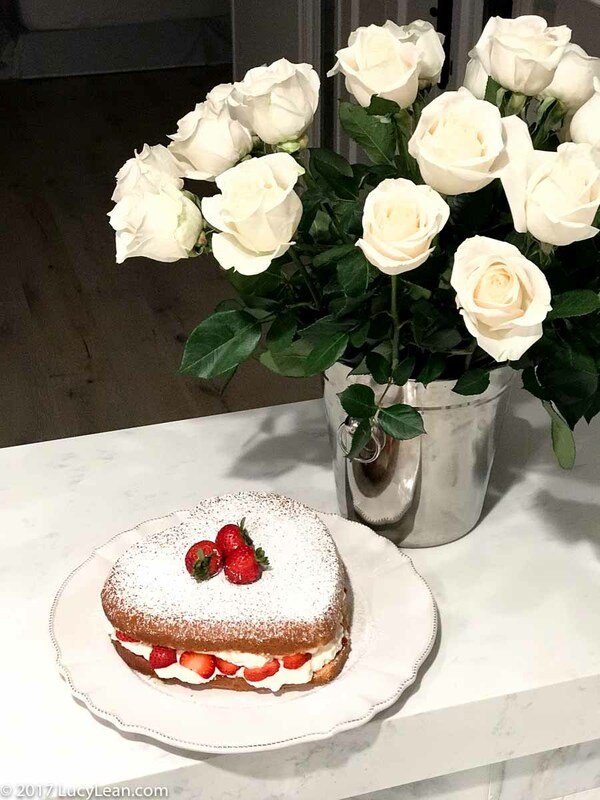 Yotam made the point that something like cake is a treat and not to be eaten all the time but that when you do what better way than a homemade cake shared with family or friends. With Minty away at boarding school I hadn’t really been very inspired to do much of anything in the first few weeks – I missed her so much. SWEET helped ease me back into the kitchen when I was out in Malibu. I got out the Kitchenaid stand mixer and made the Victoria Sponge Cake. 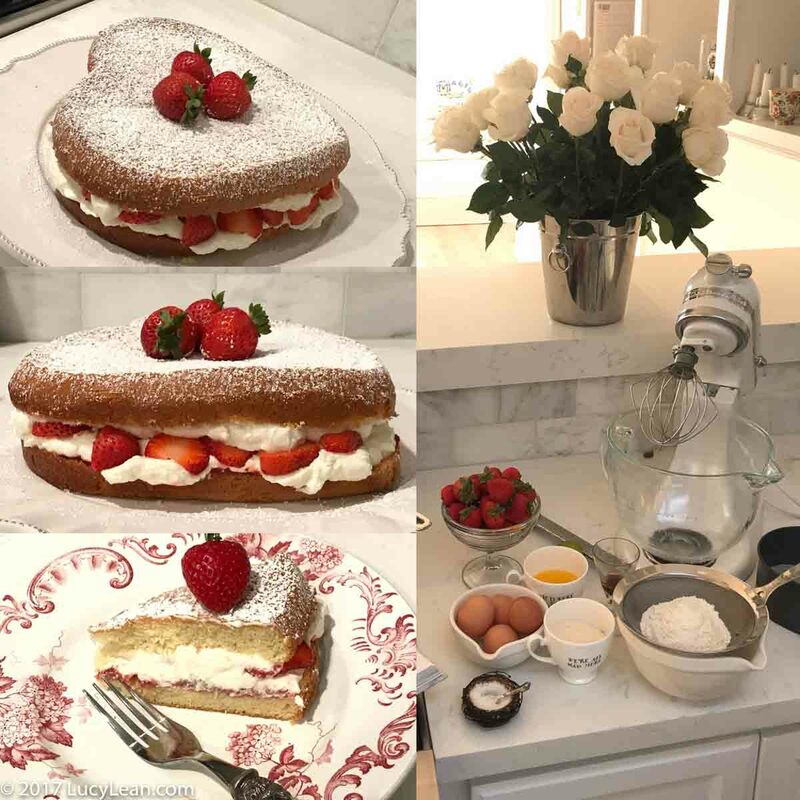 “The secret of the sponge cake – which is light as air, but also rich and buttery – is the reliance on the air that’s whipped into the eggs, which act as the raising agent, rather than chemical leaveners.” This is a Genoise sponge recipe that requires a little extra technique that’s not difficult but important to follow the instructions carefully. Yotam and Helen made it as little cakes filled with white chocolate cream, strawberry jam and fresh strawberries. 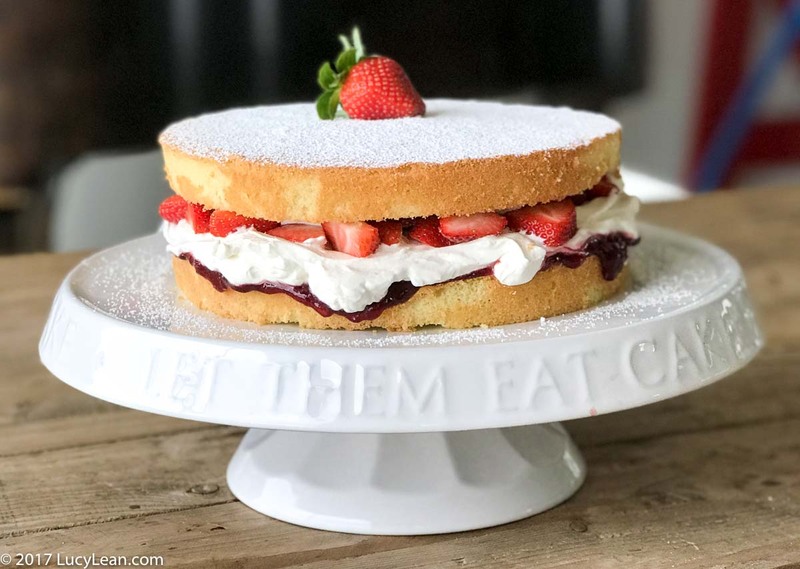 I have adapted their recipe using larger pans and I have used light and airy whipped Chantilly cream as I feel it pairs so well with this cake and the berries. 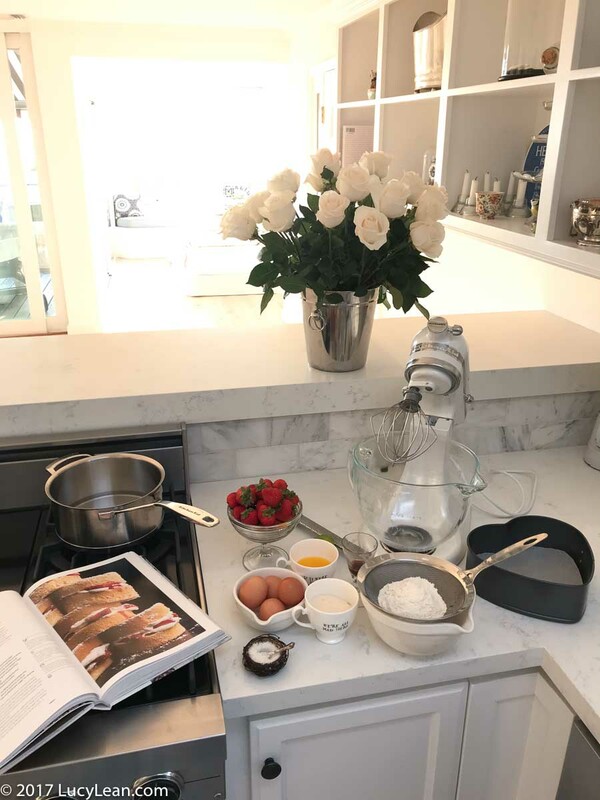 Place the cream in the bowl of the Kitchenaid electric stand mixer with the whisk attachment mix on medium speed until the cream begins to thicken. Add the confectioner’s sugar and vanilla paste and continue to whisk until the cream is thick and forms peaks – be careful not to over whip – you will get sweetened butter! Set aside in the refrigerator. Place the chopped strawberries, sugar and lemon juice in a small saucepan and mix well. Bring to the boil over medium heat and cook for 5 minutes stirring regularly until the sugar has melted and the mixture has thickened. Remove from the heat and set aside to cool. Preheat the oven to 350 F. Line the bottom of the pan with parchment paper – I have used a heart shaped spring form pan and I’ve also used two 9inch cake pans with straight sides. Pour enough water into a medium saucepan so that it rises about 2 inches – you want the bowl of the electric stand mixer to fit in the pan over the water without actually touching it. Bring the water to a boil and then lower to a simmer. Place the eggs, sugar, vanilla paste and lemon zest in the metal bowl of the Kitchenaid and with the whisk attachment mix ingredients together for 30 secs on medium speed. Remove the bowl from the mixer and place over the simmering water making sure the water is not touching the bottom of the bowl. Whisk continuously by hand for about 5 minutes- yes this is a workout – until the mixture is frothy, creamy and warm. Remove the bowl and place it on the Kitchenaid stand mixer and whisk on high speed until the mixture has tripled in volume and is no longer warm. Combine the flour and salt in a bowl and sift twice. Sift half the flour directly over the cake batter and fold in gently with a large spatula. Sift the other half of the flour into the cake batter and fold in gently. Drizzle the cooled melted butter down the side of the bowl and fold in gently and swiftly until incorporated. Spoon into the prepared cake pan/s and bake in the middle of the oven for 20 minutes ( if baking one large cake it may need a little more time) until the cake is golden brown and springs back in the center when pressed. Remove from the oven and set aside in the pans to cool for 20 minutes. 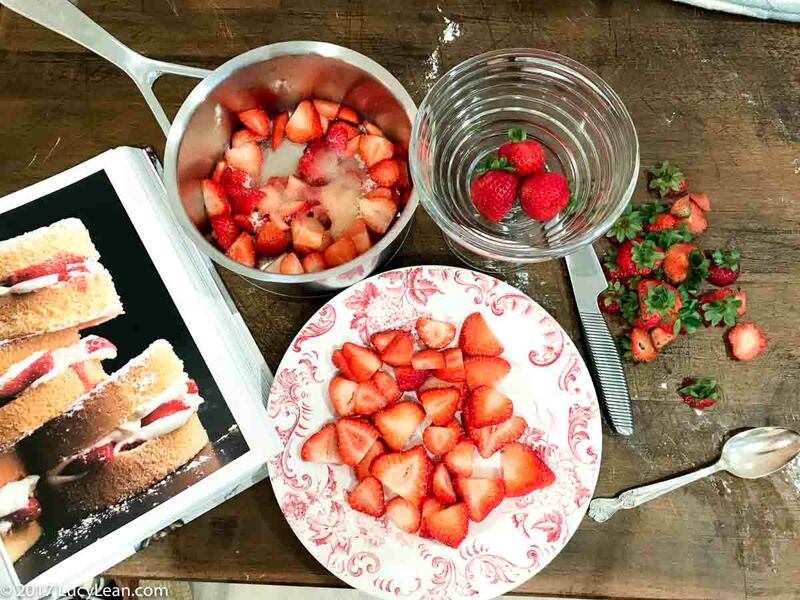 Run a sharp knife around the sides of the cake and transfer out of the pan to a cooling rack. If using one large pan cut the cooled cake horizontally. 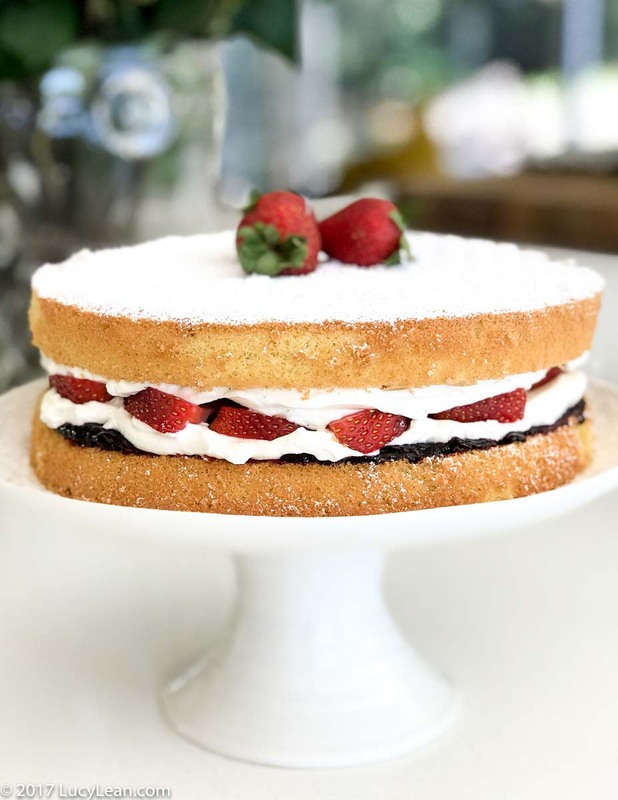 Place the bottom cake on a cake stand and spread with the cooled strawberry jam. Spread a little more than half of the whipped cream on the cake, then the fresh sliced strawberries and then the remaining whipped cream. Place the top half of the cake on top and dust with the confectioner’s sugar. 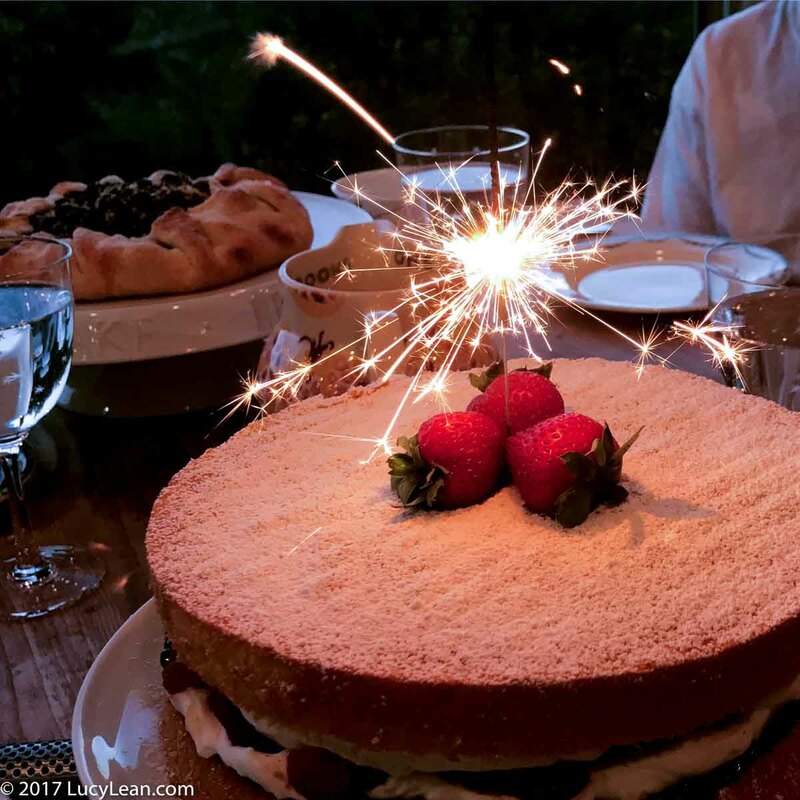 Decorate with a single strawberry or a sparkler or candles and enjoy. Left over slices are delicious the next day for breakfast.